After two days of intellectual stimulation at a conference in Birmingham, I headed straight to Smoking Goat on a Friday night to gain sustenance for my friend’s birthday karaoke. It’s so refreshing to go somewhere that absolutely, 100% lives up to the hype. The food here was out of this world, blow your taste buds out of the park good. Yes that’s a lot of cliches and mixed metaphors, I know. 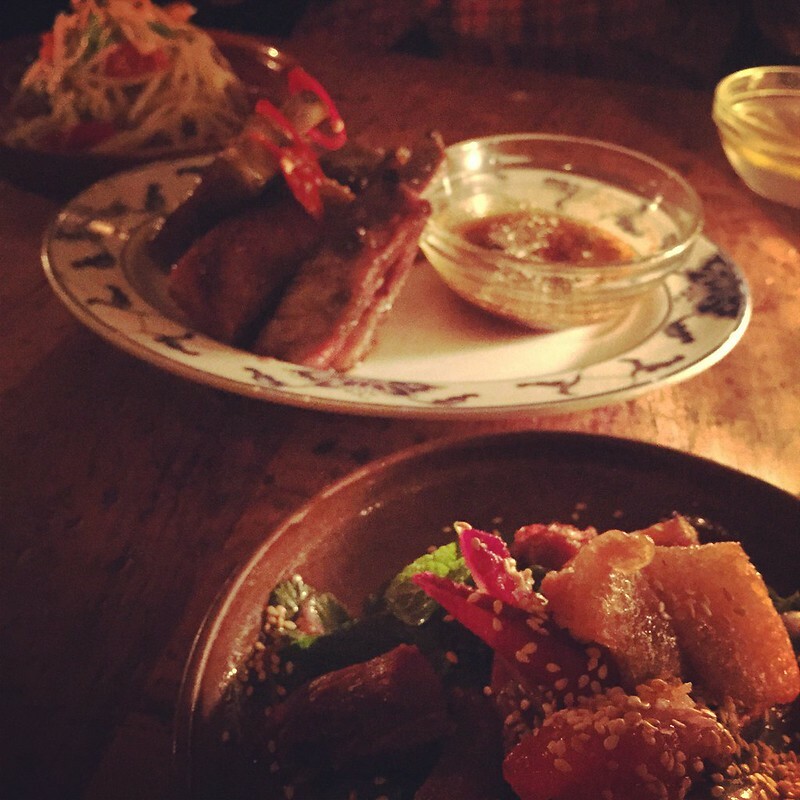 Apparently the chef used to work at Peckham’s own The Begging Bowl, which is also very tasty Thai food, but did not really create the same levels of saliva, tears and endorphins that its inner city counterpart did. The much-talked-about wings are like something a more sophisticated alien race came up with, the batter so crunchy, salty, juicy that by the time you get to the meat itself it feels like a palate cleanser. The lamb ribs were juicy, crispy and soft, and very, very lamby. But the best dish of all was a cold-smoked aubergine with some sort of tasty grit on top- no idea what it was at the time, turns out it is ground up rice. I also had a thai basil gin fizz, an ideal way to start a Friday night. 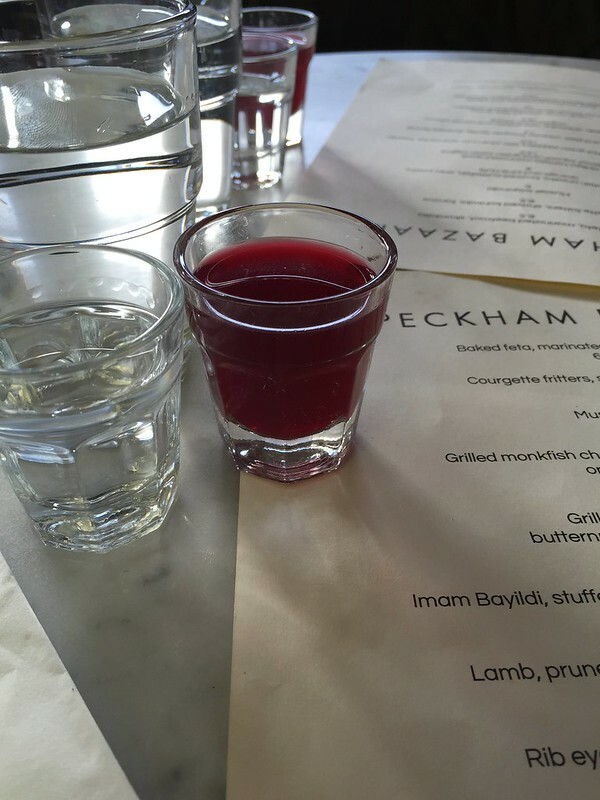 We went to my favourite, and most hang-out-ey restaurant in London, to raise a glass of raki and turnip pickle juice to Niko’s memory. 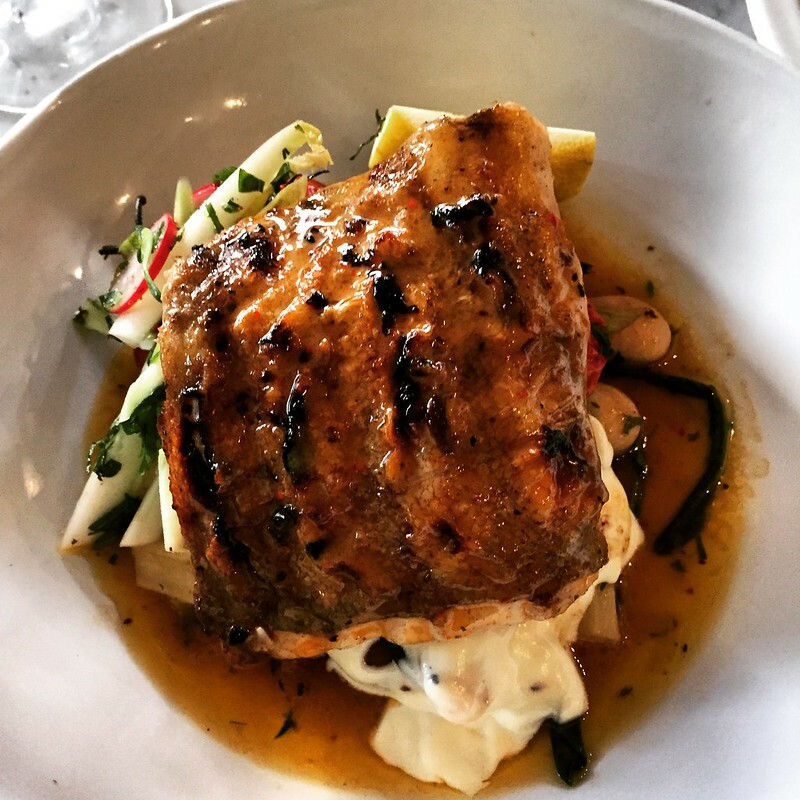 The food as always was phenomenal- the grilled cod with giant beans and pomegranate molasses is in the running for the best main dish I have had there. Also, they served cheese as part of a sweet dessert. I love sweet cheese things. We made a vegan, gluten-free brunch to accommodate our dining companions. 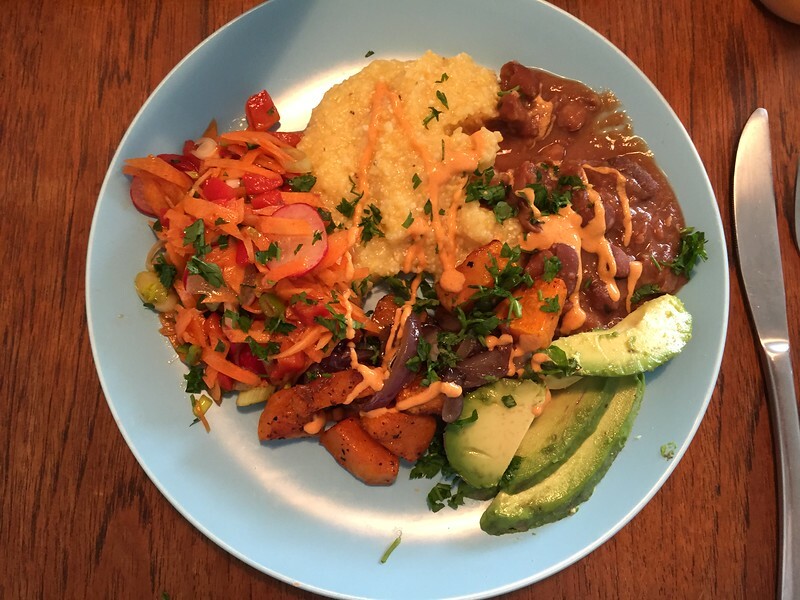 We served ful medammes, cornmeal grits, pickled carrot & radish salad, and avocado. All complemented by my favourite new condiment, tahini hot sauce. Who says vegan food has to be boring? 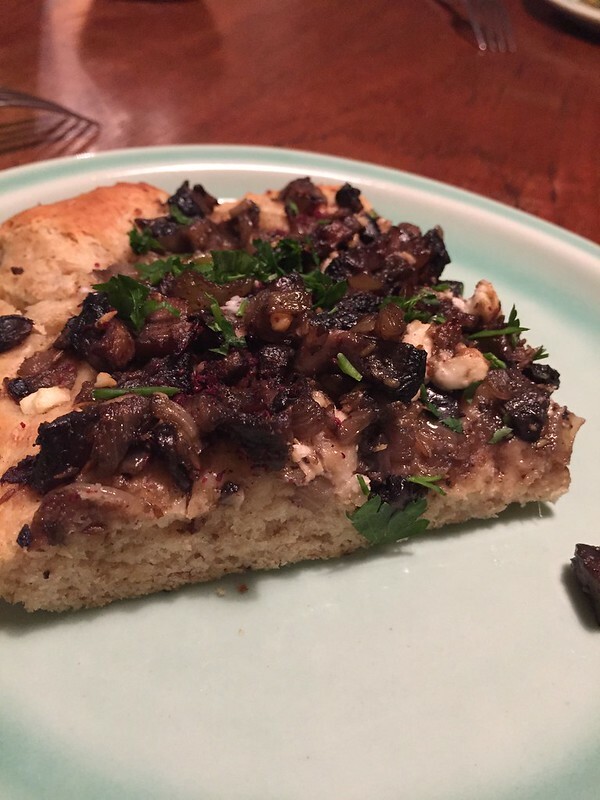 In my bid to cook everything in the book, I made the Mushroom Sfiha recipe in the Honey & Co. cookbook, but this time rolled the dough out as a flatbread since I found it quite doughy last time. The topping, of caramelised onions, mushrooms and lots of ground cumin, is meaty, aromatic and dead easy. We had a lot of old apples to use, so I made another apple cake after the success of the first one. 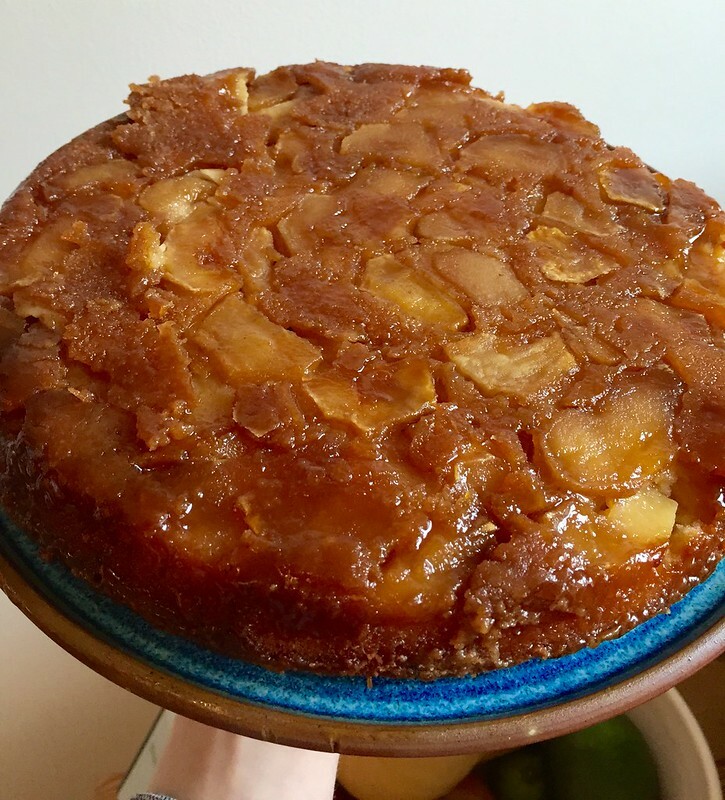 This one was a David Lebovitz recipe, and the caramel and apple combination was excellent. Making it in a cast iron skillet worked really well too, which I wasn’t expecting. I think overall I preferred the Maria Elia one, if you have to make an apple cake. No, I would never be foolish enough to make it myself again. Once was enough. Luckily, there’s a new fresh pasta shop, Burro e Salvia on Lordship Lane (right next to Odonno’s gelateria). 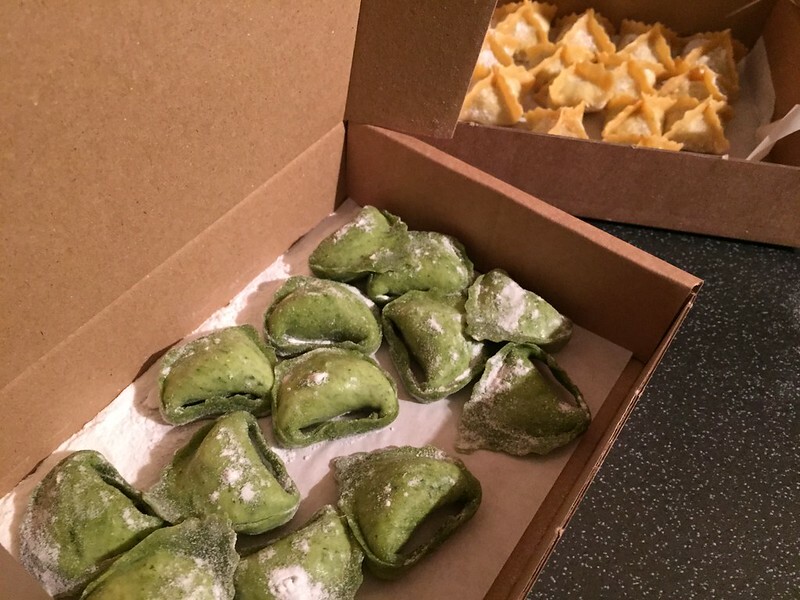 We had tiny, delicate filled pasta with artichokes, and vividly green ones with parsley and ricotta. It snowed a little, so I made a stew. But there were also daffodils, and for me, that means the start of spring. Click here to see the whole Flickr album.